In a twist of fate as predictable as a Love Boat plot, Jamie Coots, a preacher in Kentucky who gained fame for handling snakes while leading services at his church, died on Saturday after a rattlesnake he was handling bit him on the right hand. The 42-year-old was bitten during a religious service and, according to Middlesboro police, refused to go to the hospital for treatment. Coots appeared on the reality series Snake Salvation, which aired on National Geographic. The show followed the snake handler as he battled the law and outsiders in an attempt to maintain his religious practices at the Full Gospel Tabernacle in Jesus Name church. Coots and his followers were often shown handling poisonous snakes, such as rattlers, copperheads and cottonmouths. Other snake handlers also appeared on the show, which was canceled after its first season. In an interview which aired earlier on the ABC News show, Nightline, Coots said that he and the parishioners at his church believe they have been called upon by God to handle venomous snakes and to drink other poisonous substances. Should one of the church members be bitten, their practice is to refuse medical intervention, believing that God alone is in charge of their fate. God does not appear to like snake handlers very much, because he chooses to let a lot of them die. According to the Lexington Herald-Leader, at the time of the bite, Coots and approximately 35 to 40 other worshippers were at the church. 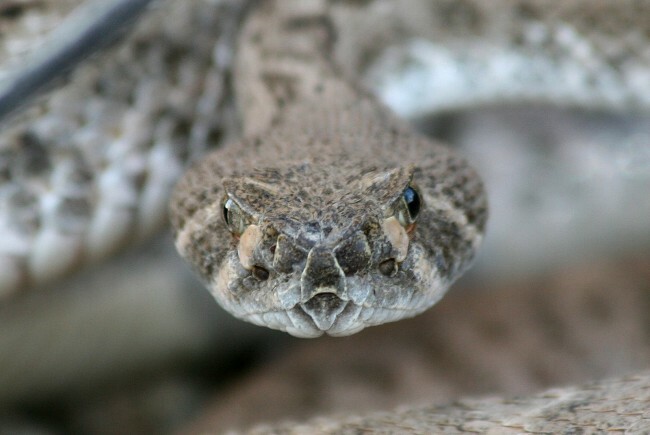 According to the preacher’s son, Cody Coots, his father was near the pulpit handling three rattlesnakes when a 2.5-foot-long timber rattler bit him. Jamie Coots told his son that his face “[felt] like it [was] on fire,” and went to the bathroom to vomit. The elder Coots lost consciousness while Cody Coots prepared to drive his father home. Another snake-handling pastor, Andrew Hamblin from Tennessee, was with the elder Coots and called for help. The stricken preacher was unresponsive and needed five men to carry him to the car. Cody Coots reports that his father took one deep breath on the short ride home. He was carried inside and placed in a living room recliner; he never regained consciousness. Police received a call from the church reporting a snake bite at approximately 8:30 p.m. By the time first responders arrived, the reality show star had been driven to his home, located less than two miles away. Upon arriving at the home, police and EMTs found Jamie Coots with a snake bite on his hand. EMTs stayed on the scene for 40 minutes, trying to get his family to acquiesce to transporting him to the hospital. Cody Coots said that he refused to let them take his father because, “He always said, Don’t take me to the doctor,'” should he suffer a bite. Said the son, “It was totally against his religion.” The emergency responders were unsuccessful and eventually left. During the previous Nightline interview, Jamie Coots said his practice is that “if someone gets bit in my church and they’re not immediate family,” he will call 911 and have emergency personnel come to the church. Immediate family members are evidently not given the courtesy of choice. He leaves it up to the lucky ones to refuse treatment by the EMTs. A call was placed from the Coots residence about an hour later to report that the preacher had died. Emergency personnel were again dispatched, as well as the coroner, who is treating the death as a non-criminal investigation. This logic fails to pass the common sense test, and is akin to turning a blind eye to a church whose parishioners strongly believe that God wants all children to run around haphazardly wielding scissors, and that no treatment for any scissor-related injuries may be administered. It is against the law in Kentucky, and has been since 1940, to handle poisonous snakes during religious services. Even so, it has been decades since any serious attempts to enforce it have been made, mainly because authorities are reluctant to press charges against people for practicing their own religious beliefs. Disregarding the whole “separation of church and state” argument, the thought of government stepping in to regulate stupid behavior (for motive heavenly or earthly) leads to all sorts of potential claims of privacy being invaded, in addition to questions of what constitutes “stupid behavior” and who gets to make the determination. Jamie Coots, whose father and grandfather were both Pentecostal pastors who handled snakes, had hoped to pass the snake handling tradition to his son. He had a permit to keep the snakes and did so in a backyard shack, although he at one point ran into legal trouble for buying and selling snakes, for which he received a fine of over $6,000. He was sentenced to one year of probation in February 2013 after transporting poisonous snakes into Tennessee from Alabama. In addition to various legal issues, the preacher admitted to suffering nine bites previously, including one which resulted in the loss of a finger after he refused medical treatment. The last known fatality from a snakebite during a church service in Kentucky occurred in November 2006. A woman worshipping in a church in Laurel Canyon died after being bitten. Those who practice snake-handling as a religion do so because of a passage in the King James Bible, which they interpret literally. Mark 16: 17-18 states: “And these signs shall follow them that believe; in my name shall they cast out devils; they shall speak with new tongues; they shall take up serpents; and if they drink any deadly thing, it shall not hurt them; they shall lay hands on the sick, and they shall recover.” They pay fervent attention to the “signs” that will reward their devotion, but the literal belief seems to die away when they get to the part about not being hurt by any deadly thing and recovering after a fervent laying on of hands. Because most Protestant churches (and those with working brains in their heads) do not interpret the passage literally, the practice has dwindled in the past decades. Cody Coots says he knows of only a few churches that presently still use snake-handling during their services. He vows to carry on the tradition, despite losing his own father to a rattler. Such a strong, fervent belief in God is too powerful to stand up against logic or law. As long as they are hurting only themselves, and willing to put themselves in danger due to one passage in the Bible they have chosen to take literally, common sense says they should have at it. Eventually, if Darwin was truly on the right track, the stupid will die out.